Giant Vallisneria are a great plant for tall aquariums since the leaves can grow up to 39 inches long! 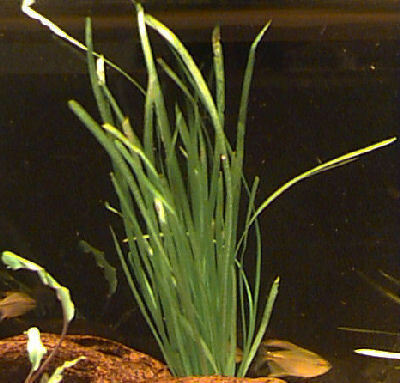 The leaves of the Giant Vallisneria are dark green with rounded tips. They generally grow in cycles, thriving for 3 or 4 months and then dying off for another few months. Giant Vallisneria do well in a mixture of fine sand with a medium light level. The leaves may grow up and across the surface of the aquarium so watch that they don't overshadow the lower levels of your aquarium. Iron is important for these plants, and the best way to ensure that they get the right quantities is to use an iron-rich substrate. Giant Vallisneria are found in New Guinea and the Philippines. The parent plant sends out shoots that become new plants. The Giant Vallisneria is readily available. Well i didnt know that this plant grows tall so i cutted it and it looked so bad. But they grow very fast in my tank . It depends on what your light levels and nutrient supply are, most likely will though, it is a super hardy plant. Happy fishkeeping! DEFINITLY a possibility. 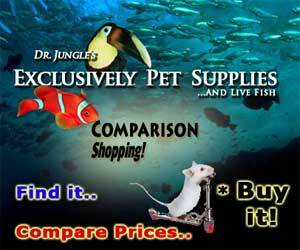 I have one in a 60 gallon the tank is 25 inches tall 4 foot long and my val. has grown. From the back it covers some of the top of the tank and it's actually coming down the front of my tank! 1 of the 'arms' as I call them has to be close to 3 feet. It keeps having little babies too. I like it, neat hardy plant. Get one and try it out bud. Good luck. This plant seems to need lots of light. In my tall narrow triangular tank it grew well at the front - I didnt know it has a few months dormancy and threw it out. i have re-purchased but its at the back in a dark corner and not doing well at all. i have one of these that just takes over the aquarium. it breeds ferociously and even when i take it out of the aquariun it just pops up with new ones. i want to control it better with a social fish that could eat the plant and help keep it under control.